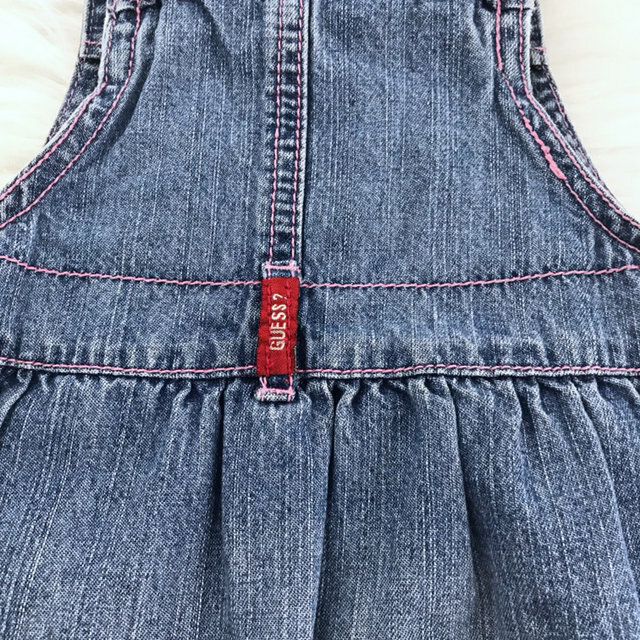 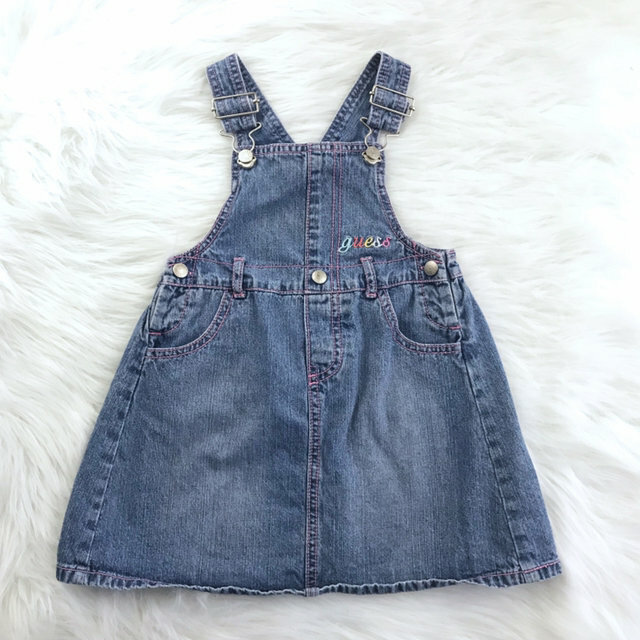 Retro style Guess denim overalls dress. 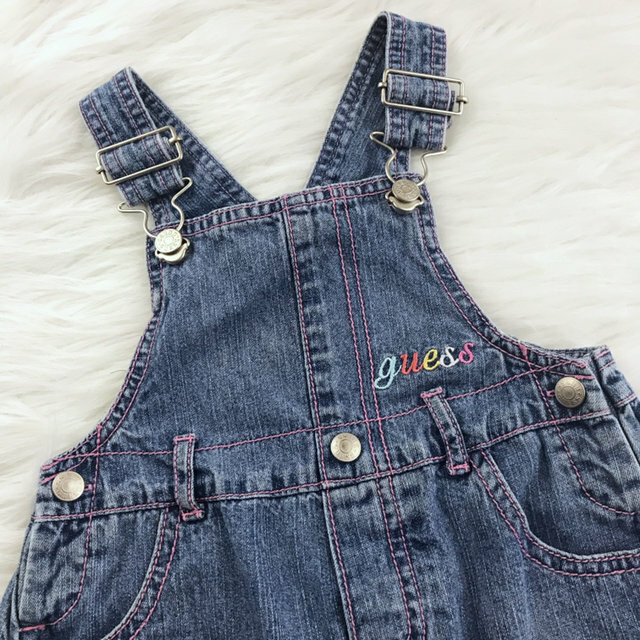 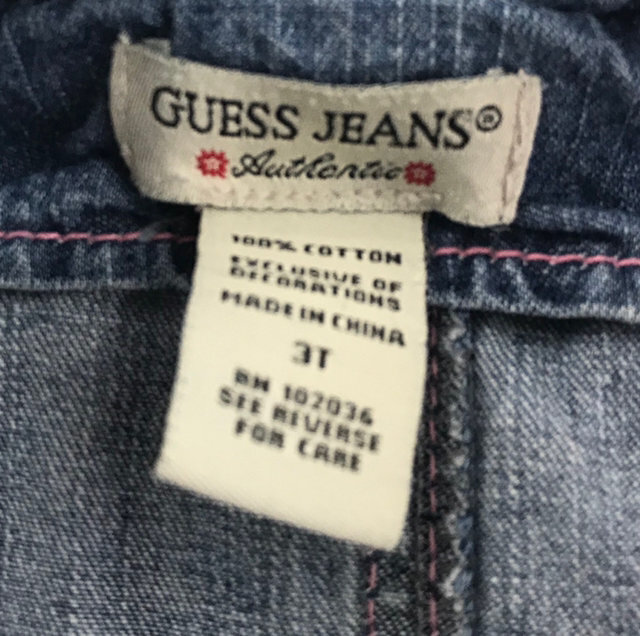 Guess in embroidered in pastel threading on the bib. 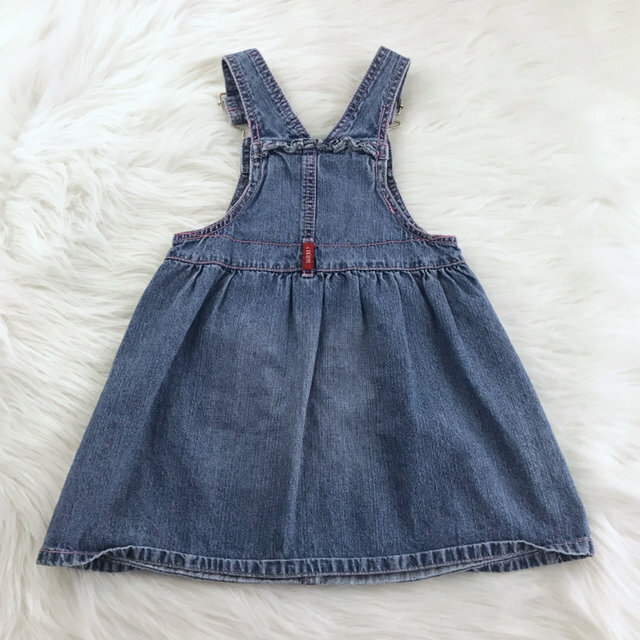 Size 3t.